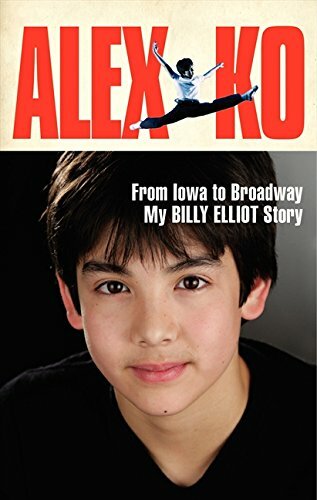 Alex Ko: From Iowa to Broadway, My Billy Elliot Story follows Alex’s journey from small town Iowa to becoming a famous Broadway performer in New York City. Despite all the odds he had to overcome—facing his father’s tragic death from cancer, financial difficulties, countless auditions, and serious injuries, Alex triumphantly lands the starring role in the musical Billy Elliot at age thirteen. For theater fans who want an exclusive behind-the-scenes look at the world of backstage Broadway to kids determined to achieve dreams of their own, Alex Ko’s story, told in his own words, is powerful and personal. A collection of black-and-white photos from both Billy Elliot productions and Alex’s childhood brings his world vividly to life.